Apple’s cozy chats about the new 9.7-inch iPad making its way into classrooms focus heavily on affordability, privacy, and quizzing software. But let’s admit it: Many students are going to be spending a lot more time in class playing Fortnite than scribbling out notes with their fancy new Apple Pencils. 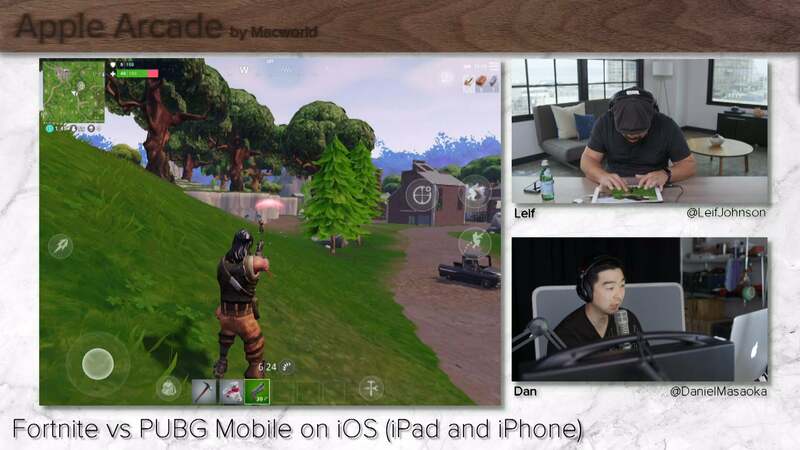 In fact, Tim Cook said next to nothing about games on the new iPad while on the stage in Chicago last week, but that’s why we’re here at Apple Arcade. Apple claims the new tablet delivers “40 percent faster CPU and 50 percent faster graphics performance” over the previous 9.7-inch iPad, so on Tuesday afternoon we’ll see what that means in practice. We’ll tackle performance-demanding games like Fortnite, PUBG Mobile, and Civilization VI. We’ll peek at iPad favorites like The Witness and Thumper. We’ll even spare a bit of time for augmented reality games like ARise and AR Dragon. For that matter, we’ll also spend a bit of time chatting about the experience of using a device that’s optimized for games as a work tool in classrooms. It’s been a while since any of us were in school, though, so we’ve love to hear what some of you have to say about playing games in class when we go live tomorrow. This week’s episode of Apple Arcade broadcasts at 2:00 p.m. Pacific this Tuesday, which is a little later than our usual showtimes owing to a scheduling conflict. You can watch us on the Macworld Twitter via Periscope or on YouTube.